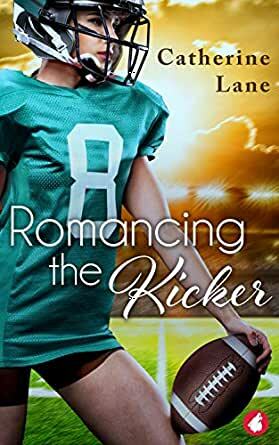 Romancing the Kicker - Kindle edition by Catherine Lane. Literature & Fiction Kindle eBooks @ Amazon.com. Parker Sherbourne has a talent for sports and seduction—and the body to prove it. When the High Rollers, the professional football team from Las Vegas, chase after her to be their point-after specialist, she jumps at the chance. Sure, the position is only a publicity stunt, but she has always been able to turn any situation to her advantage.Carly Bartlett joins the Rollers as the newest athletic trainer and the only other female on the payroll. This dream job could bring the financial security her family desperately needs. The head trainer has only one warning: don’t get involved with a player. Not a problem. She doesn’t go for guys.When Parker reaches out to Carly for treatment, sparks fly. Will Carly fall for Parker’s charms and put her own desires ahead of her family’s? Has Parker finally found the woman who’ll make her slow down and stop playing the angles?With the macho world of football against them, can they beat the odds in this lesbian sports romance? This was the first Catherine Lane book that I’ve read and I loved it. Romancing the Kicker it a wonderful and meaningful story. It’s a love story and work place romance, a rich girl, poor girl, playa gets tamed story, but it’s also much more. It’s about two women walking a path that’s riddled with potholes of age-old and tired isms and ists that most women encounter, especially those that are perpetuated in male dominated workplaces. RTK is a story of two women with different backgrounds and upbringings, that connect and share their challenges together. I love that the author featured a woman of color as one of her main characters. Lane captures her struggles and essence and what life might feel like. As an American Mexican, I sincerely appreciate reading stories featuring people like me. Whenever I watch a football game and catch a rare glimpse of a woman working on the sidelines, I wonder what her story is and how she’s got there and who she has supporting her. This is so much more than a romance. It's a character-driven novel that addresses social issues of the day: sexism, bigotry and bullying, dysfunctional families, female empowerment, finding one's voice, commitment ... I could go on and on but the author has done a fine job of blending all these often controversial topics into a solid read. The two main characters come from two different worlds: Parker, from privilege and power; Carly, from working-class grit and survival. Yet, Carly is "richer" in many ways because of the love of her grandmother, Minnie, and half-brother, Teddy. The immediate attraction of the two may seem contrived at first but it did propel the story and support their inner conflict and confusion around such strong feelings and issues of trust. Parental love took a hit with absentee fathers and damaged mothers. There was some resolution at the end while leaving unfinished business for the protagonists. Overall, though, Parker and Carly grow stronger as they find their own voices. And that record-breaking kick was so worth the wait! This is one of the best sports romances that I've read in a long time. It has a great storyline with several layers to keep you engaged from beginning to the end. I love sports romance, especially when it sets in a field predominately held by men, where women worked there way up with hard work and on their own merit. Just as in real life, there are social issues that the main characters have to confront. It was well worth the read and I can certainly recommend it. 5.0 out of 5 starsThe title should be romancing the reader!!! The author delivers a tale full of sports, desires, wants, love, and most importantly happily ever after. The writing is exceptional, the characters are lovable and the reader wishes for a tale that never ends. Furthermore, the writer provides details of a sport that I know well and, to my surprise, she is right on. She captures the spirit, the excitement and the agony an athlete feels during the game. It’s a sweet story and worth the read. Well done!!! I really liked this book. I'm a big sports fan, so it was awesome to read a story about a female athlete taking her career to the next level. The book had a good flow to it and the story was well paced. I recommend it! 5.0 out of 5 starsVery engaging and hits all the right notes! I loved this book- it’s a timely topic, well written, suspenseful and fun. And I’m not a football fan but I got drawn right into the story. A female professional soccer player joins an all male football team as a kicker. Who doesn’t want to see more women in professional sports? So this story is different right away. Parker is the superstar athlete beloved by her former teammates who is suddenly thrown into a group of men who don’t want her around no matter how good she might be. Carly is a talented physical therapist who leaves a university job for a chance to earn big money with a professional football team.The players don’t want her either.She’s a woman,what does she know about anything? Both women are talented but both are from very different backgrounds. I enjoyed watching the interactions between the players,the families ,the team owners and of course Carly and Parker. This book is well worth your time and money.Don’t miss it. 4.0 out of 5 starsThis was a nice, sports-themed, romance. I thought that the idea of a Vegas arena and the team name 'The Rollers' was creative. I wish we were this close to having a female NFL kicker. The book was well fleshed out. All avenues were thought of and considered for such an ambitious story-line. The characters were all likable and had interesting backgrounds. The primary theme was family and that is what made this such an endearing read. I did like the romance. It took a long time to develop, but there were a lot of interactions leading up to that. 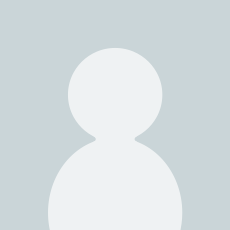 I wish there would have been a bit more conversation or resolution to the fact that Parker had only previously went through women fairly quickly. It was a concern for Carly, but I didn't feel like there was anything that would have made her feel comfortable enough to proceed. I think this book has the best first 'I love yous' ever. Cheesy but it really worked for me.